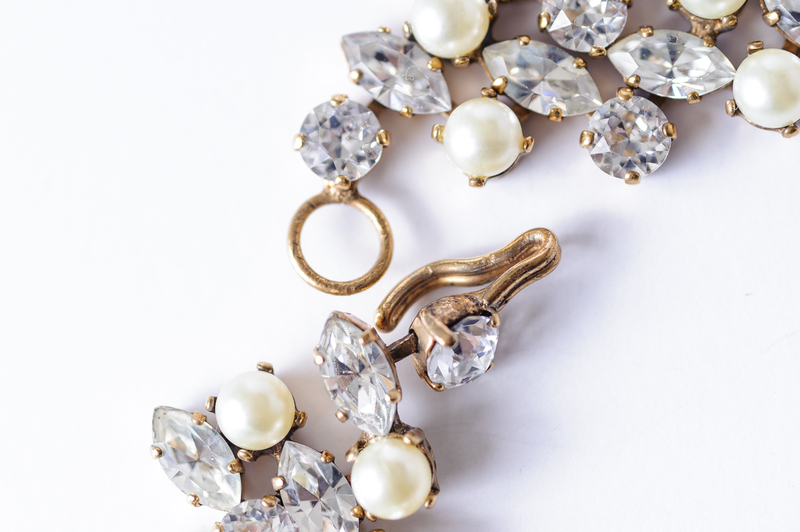 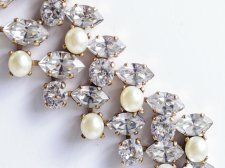 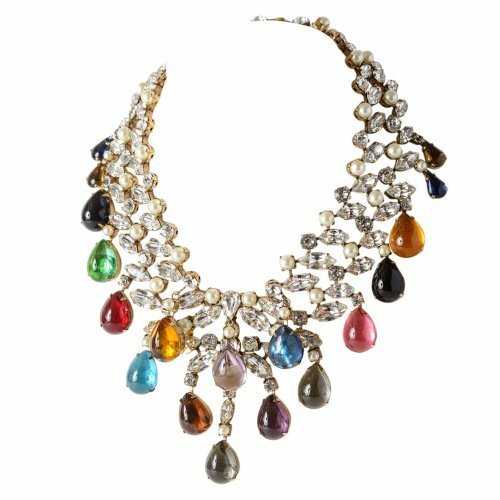 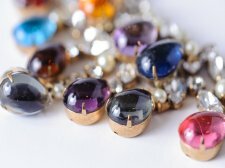 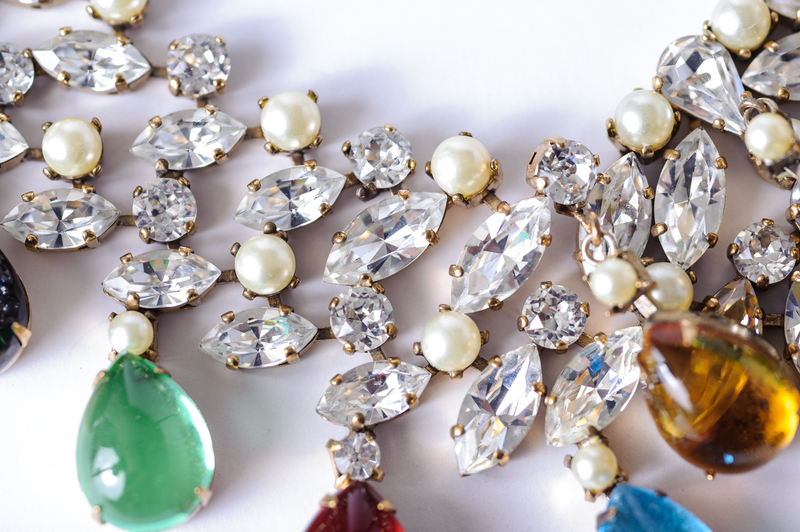 Schreiner New York Necklace w Multi Colored Tear Drop Dangles Rhinestones & Faux Pearls. 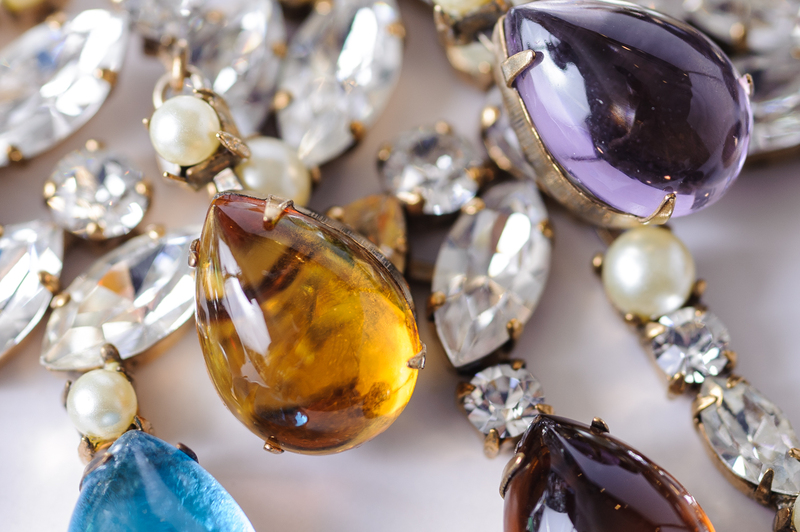 The necklace consists of a band of marquise cut and round rhinestones with faux pearls, with large tear drop unfoiled crystals of aqua, sapphire, amethyst, pink, ruby, smoke and topaz colors. 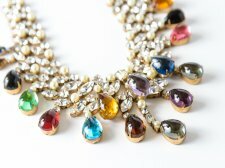 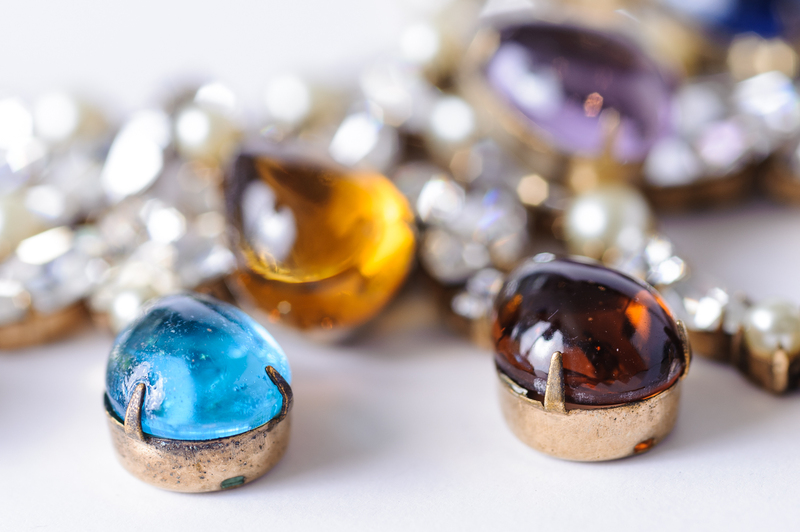 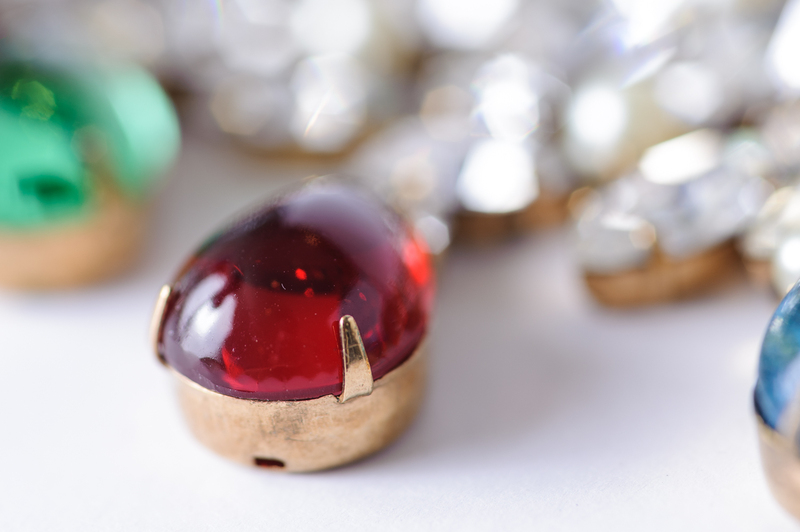 Truly a striking pieces, measuring 13 inches around the neck and 3 inches at its widest. 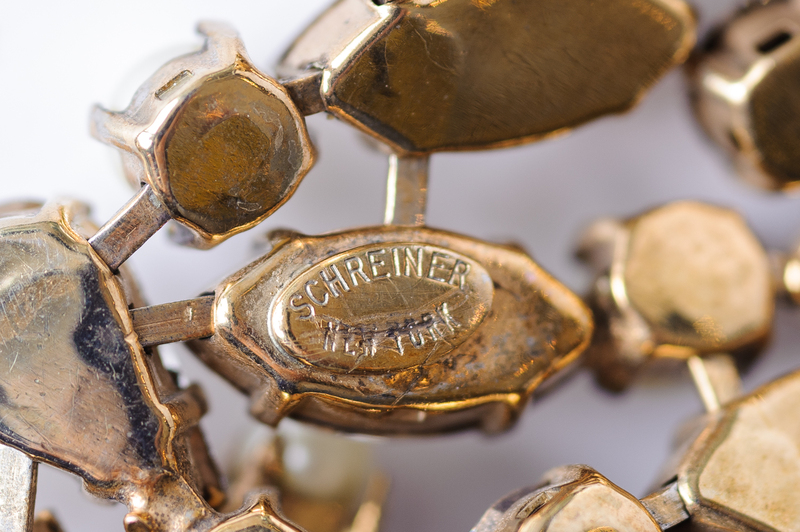 In great vintage condition, the piece is signed Schreiner New York.